...or the new Metroid game you didn't know you wanted. So, who's interested in a game that draws heavy influence from Metroid right down to the lonliness, alien planet, other-worldly monsters and has very high resolution hand drawn animations for each of the enemies? Then you're in the right place. Ghost Song: A Journey of Hope isn't out just yet, but even in it's early development stages, it looks great. What's even more impressive is the fact that the majority of the game is being coded and drawn all by one guy. Matt White. 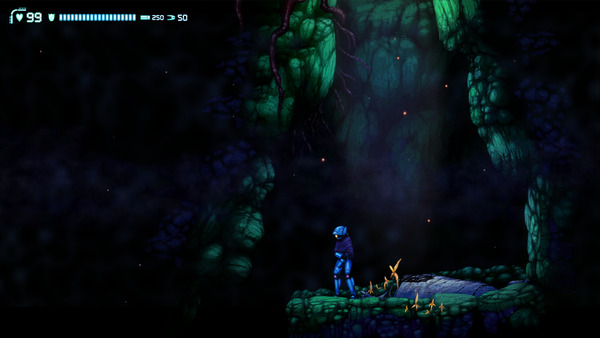 That in itself is very ambitous for anyone to tackle a Metroidvania game, let alone for one individual. But I guess if you want something done right, you have to do it yourself. Voxatron - A very unique game which uses Voxels (which are basically 3D pixels) to create a stylized look with top down camera focus and platforming elements. This game is currently in early stages of development, but they will give you free updates all the up to it's final version and beyond! Blocks That Matter - 2D sidescroller that is part puzzle, part block building similar to Minecraft. The Binding of Isaac - Classic Zelda type sidescrolling gameplay from the guys that gave you Super Meat Boy. Check after the break for more info and videos!